As a holistic dental office, we understand that exposing you to high levels of ionizing radiation is not good. We, therefore, have gone out of our way to assure that our imaging equipment is of the kind that requires the least amount of x-ray energy directed at our patients during the capture of x-ray images or 3D scans. Planmeca HD digital Intraoral X-ray sensors that are far more sensitive than film or most other digital sensors thereby allowing our x-ray sources to be calibrated to a very low energy output and exposing our patients with the minimum doses needed to produce ultra sharp HD images for more accurate diagnostics and less x-ray exposure to you. Maxray handhold x-ray tubehead. Adjustable to produce anywhere from film equivalent doses, down to ultra-low-dose levels for our Planmeca HD Pro-Sensors. Planmeca Promax 3D Cone-beam CT scanner with switchable Dimax-4 2D sensor. 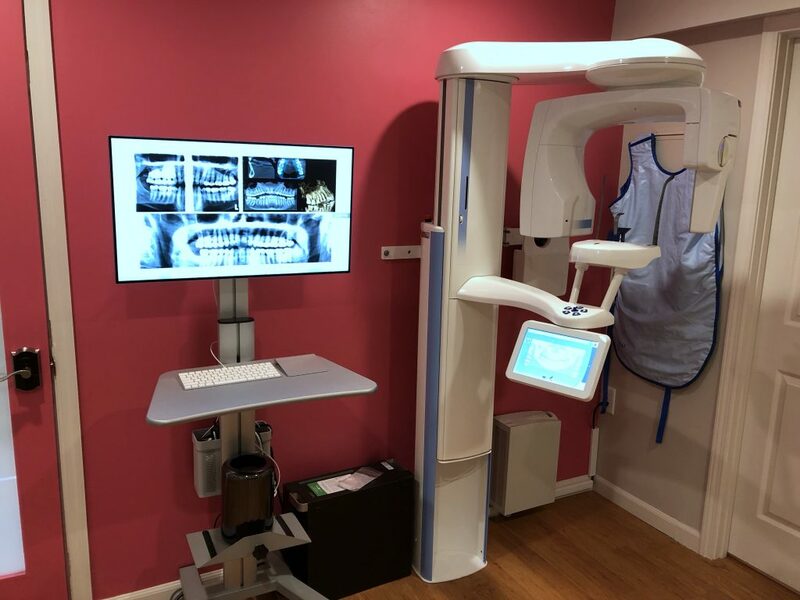 This unit is our workhorse for ultra high quality panoramic scans where the dentist can see all your teeth in a single scan that takes only seconds. For more advanced cases such as implants, this unit scans in high definition 3D. And with its patented Ultra-Low-Dose technology, even a 3D scan produces results that allows our dentists and staff to plan implant cases with the utmost surgical precision. Our practice is focused on making your dental experience as comfortable as possible and at the same time expose you to as little x-rays as possible while still getting the best and most accurate digital diagnostic imaging to diagnose and treat you like a member of our own family. At your next appointment, we’ll be happy to answer any questions you may have.